Everybody loves tube rockets! Yes, a rocket can fly without fins! 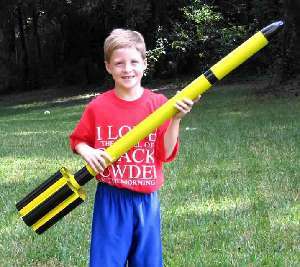 This big and lightweight rocket is an impressive sport flier and makes a great demo model. Included is a big payload section so that this model can be used to carry most commercial electronic payloads and can easily be used for school projects or even as a non-competitive "qualifier" model in NAR F & G egglofting competitions. 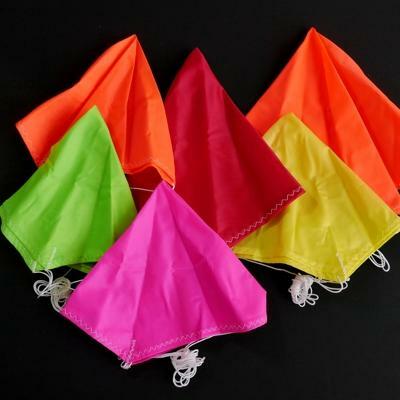 The kit features Aerospace Speciality Products' usual top-quality components, outstanding instructions, and balsa wood nose cone. Adhesives (Epoxy is recommended for most construction steps of this kit. Cyanoacrylate ["CA", aka "Super Glue"] is recommended for some specific applications. Unless specifically noted otherwise in the instructions, use epoxy when an adhesive is required. ); hobby knife with a sharp #11 blade; ruler; sanding sealer (or balsa fillercoat); thinner (appropriate type for the sanding sealer); paint brush; paint (Spray paint, such as Krylon or Testors is recommended. Be sure not to mix different types or brands of paint without testing.) - primer (optional),colors as desired & clear (optional); sandpaper (medium - 220 or 280, fine - 320 or 400, & [optionally] extra fine - 500 or 600); pencil (or ball point pen). Recommended, but not required: aluminum (or other metal) angle - ideally 1" X at least 30" long (available inexpensively at any hardware store); tack cloth; filler material such as Elmer’s Fill & Finish, Elmer’s Professional Carpenter’s Wood Filler or interior spackling paste may be used if needed to fill any "dents" or "dings" in the wood nose cone. 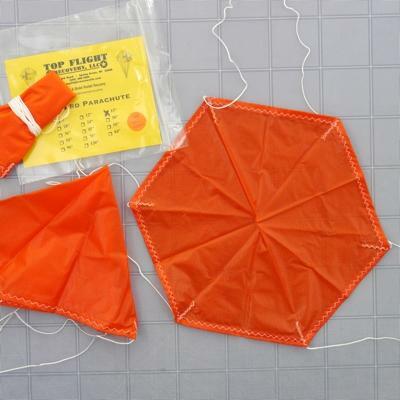 Electronic launch system; launch pad with 1/4" launch rod; parachute (see recommendations above); recovery wadding; engines (see list of recommended engines above).